If you follow me on social media, you've already heard the sad news. 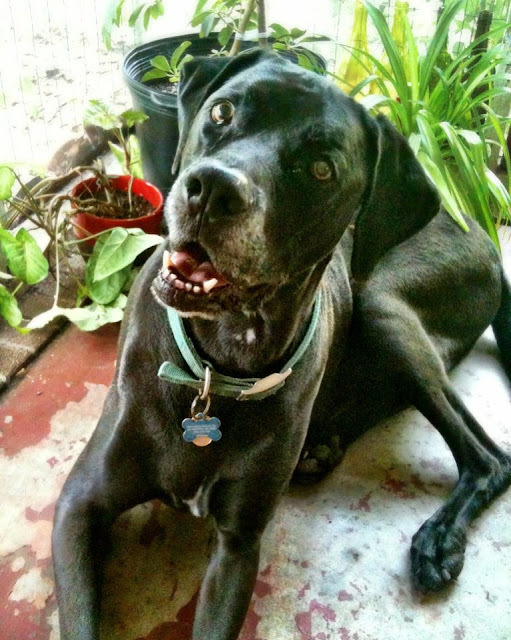 If not, then I will tell you now: Seamus, our beloved dog, passed away a week and a day ago. He was twelve and a half years old - ancient for a dog his size, and he acted like it, too. We knew he was slowing down. A few years ago, we had to start lifting him into the car for rides - he could no longer make the jump. A few months ago, he began having accidents in the house - just number one, and we have hardwood floors, so it was just annoying rather than catastrophic. A few weeks ago, he developed a strange cough - he'd gag for a few seconds, followed by a loud cough and some wheezing breaths. I took him to the vet for a checkup, and after a full senior panel, which included blood and urine tests, the vet informed us that Seamus was simply getting old. The gagging was mostly likely caused by some paralysis in his larynx, which could be fixed with a very expensive surgery - or the surgery could make it worse. After talking it over with the vet, Nathan and I agreed to skip surgery, make sure Seamus was comfortable and happy, and revisit the issue in a few months if things continued to get worse. We knew our boy wouldn't be with us forever, and we prepared ourselves for tough decision sometime this summer. For now, we'd enjoy the time we had. Then, just a few days later, Seamus made the decision for us. After a morning walk with Nathan and Calvin and a few hours laying in our sunny backyard, he went inside to take a nap on the couch - his favorite place. An hour later, Nathan came inside to check on him, and realized he'd passed away. The next few hours were awful. Nathan called me, I rushed home from work, we cried and dug a hole and said our goodbyes and cried some more. We spent the rest of the weekend grieving, keeping Calvin close, and breaking down into tears every time we walked by the empty couch. This was not my first experience with death, and Nathan is a paramedic, and we knew he was winding down, and yet his passing stunned us. We were completely unprepared to say goodbye. We kept repeating, through our tears, that we thought we'd have more time. We wanted to give him one last good day and then say our farewells properly. We felt as if we'd been cheated. Later, when the grief had begun to subside, we realized what a blessing Seamus had given us. We didn't have to watch his quality of life get worse and worse. We didn't have to struggle with an impossible decision, wondering if we were keeping him alive out of selfishness or letting him go too early. And a long, drawn out goodbye - that would have been for us, not him. He would have known something was wrong. He would have been scared. It would have been awful. Instead, he settled in a for a nap, on the couch where we spent countless nights as a family. When Nathan found him, he first thought Seamus was simply asleep - that's how comfortable, how natural he looked. Who could ask for anything better? Who could deny our dog - the best dog in the world, the dog who spent 12 years by our side - such a dignified end? 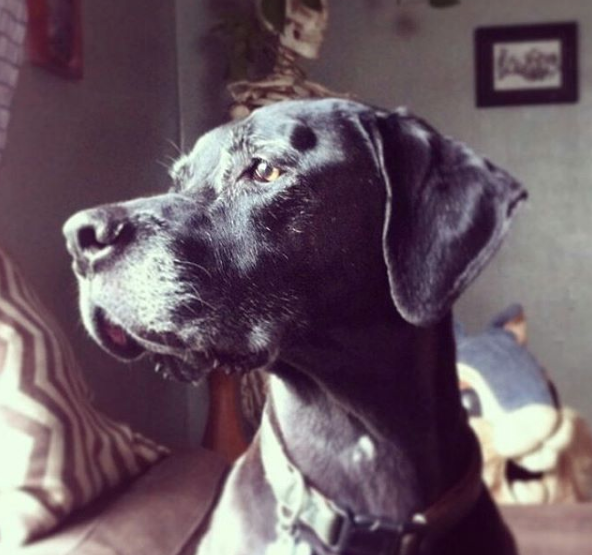 As much as these thoughts comfort us, it's still impossibly hard to lose our dog. 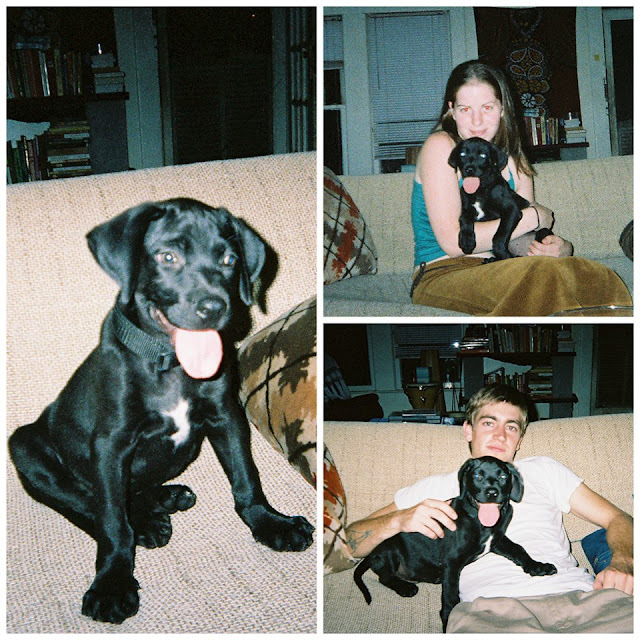 I was 22 when we brought Seamus home, a recent college graduate who had just moved to Texas to be with her long-distance boyfriend. It's incredible to think about all Seamus experienced with us - road trips, camping trips, four homes, three degrees, a second dog, a million friends, a thousand fights, a wedding. 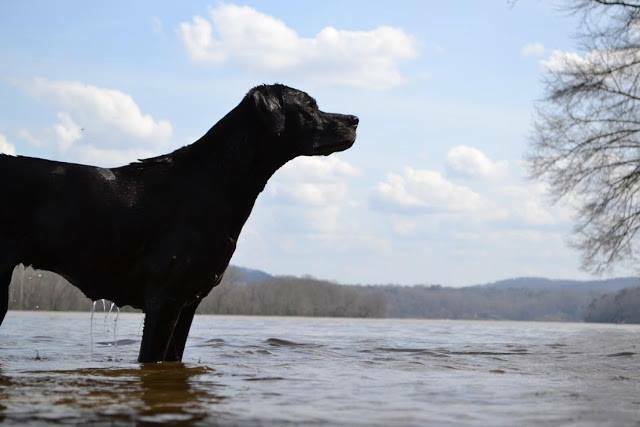 He was more than a dog - he was family. Now that he's gone, we're learning how to be a family of three. We're remembering how he lived his life - with loyalty, love, enthusiasm, and a big dose of bossiness - and we're grateful, always, for the time we had, even if it wasn't nearly enough.